Game recaps plus updates on Elias Pettersson, Mike Matheson, Justin Schultz and more in your NHL morning coffee headlines. NHL.COM: Kyle Palmieri had his third straight two-goal game, Taylor Hall collected two assists and Keith Kinkaid made 37 saves as the New Jersey Devils overcame 1-0 and 2-1 deficits to nip the San Jose Sharks 3-2. 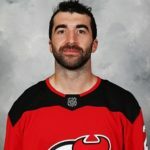 Palmieri is the first player in Devils history to score two goals in each of his first three games in a season. The Winnipeg Jets downed the Carolina Hurricanes 3-1 thanks to late third-period goals by Bryan Little and Kyle Connor. Patrik Laine also scored for the Jets while backup goaltender Laurent Brossoit turned aside 42 shots for the win. The Jets were without defenseman Dustin Byfuglien (upper-body injury) and Marko Dano, who was placed on waivers yesterday. Third-period goals by Ben Street and Andrew Cogliano lifted the Anaheim Ducks to a 3-2 win over the St. Louis Blues. Ducks defenseman Hampus Lindholm picked up two assists. TSN: Florida Panthers defenseman Mike Matheson will have a telephone hearing today with the NHL’s department of player safety for interference/unsportsmanlike conduct Saturday on Vancouver Canucks rookie Elias Pettersson. SPECTOR’S NOTE: Pettersson left the game with what appeared to be concussion-like symptoms and didn’t return. He reportedly felt “a little bit better” on Sunday but his status remains uncertain. TSN: Pittsburgh Penguins defenseman Justin Schultz is believed to have suffered a fracture after leaving Saturday’s game against the Montreal Canadiens with an apparent left leg/ankle injury. NBC SPORTS CHICAGO: The Blackhawks made sports history on Saturday by winning their fifth straight overtime game to start the season. THE HOCKEY NEWS: A country-by-country breakdown of the 18 countries providing players to the NHL. Just like England hasn’t been able to lay claim to soccer being “their” game for many years. Proof that Bettman has done an admirable job of growing the sport in the US and abroad. A website called Quanthockey.com delivers a complete breakdown of players by nationality through the years. It’s great fun for anyone who ecjoys dabbling in that sort of thing.